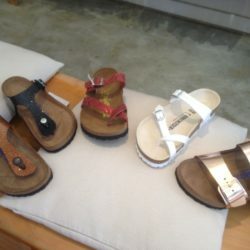 NEW MODELS: Arizona metallic Copper, Gizeh Magic black and bronze, Mayari white and red python – soft footbed. 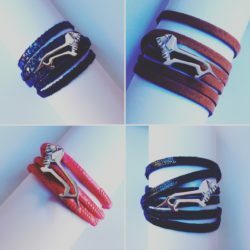 Silver dog bracelet hand made by MGGO Italy. 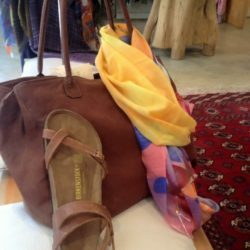 Colourful artistic scarf, handmade leather bag and leather Yara Birkenstock . 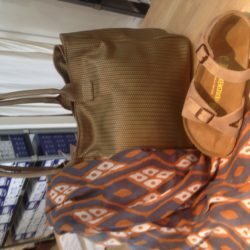 Simple, convenient outfit but elegant. 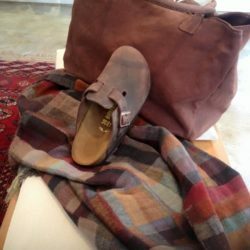 Preciously handcrafted leather bag made in Italy, cotton scarf and Birkenstock leather sandals. 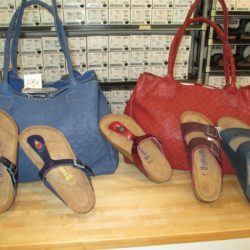 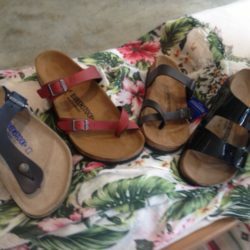 Hand bags in leather from Italy and Birkenstock sandals!